Girls' Generation YURI, the first exclusive Asian fan meeting tour 'INTO YURI' Finale decoration in Seoul! '유리가 빛나는 밤에' turns into a radio DJ for fans! It was time for YURI to fall! Girls' Generation YURI (SM) successfully completed the first solo Asian fan meeting tour. 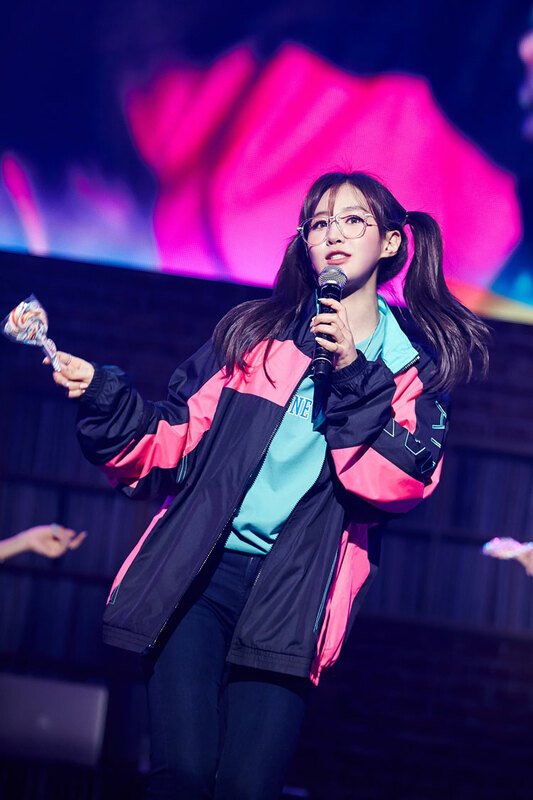 YURI held the ‘YURI 1st Fanmeeting Tour “INTO YURI” in SEOUL’ on April 7th, and attracted audiences by presenting various stages. In particular, the Seoul Fan Meeting is a concert featuring the finale of the first solo Asian fan meeting tour in Bangkok, Taipei, and Tokyo, starting in Macao in February. 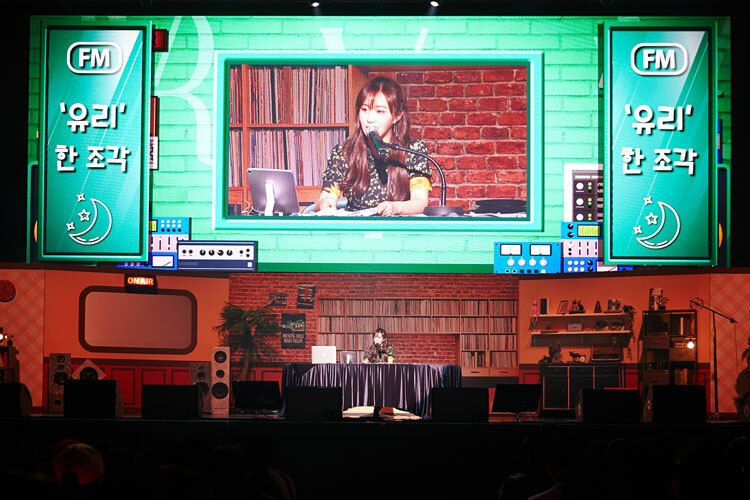 YURI became a sole DJ without MC, It caught my eye. 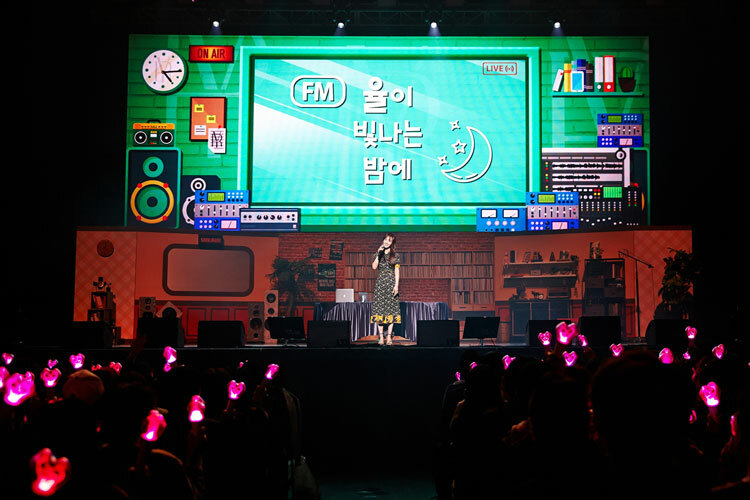 YURI prepared parody images of traffic broadcasts, advertisements, etc., as well as reading the stories that were given to the fans in advance and listening to songs that fit well. At the corner where YURI's healing food was recommended And YURI fans who picked up beautiful moments and talked about characters and got a hot response. In addition, YURI made a splendid debut in 'Into You', 'Illusion', 'Butterfly' and 'Ending Credit' as well as the title song 'Into You', also featured a Girls' Generation hit song Medley performance including 'Gee', 'Kissing You', 'Oh! ', 'Lion Heart' and 'Into The New World'. In addition, YURI has played a more intimate relationship with fans, and has released a handwritten letter with heartfelt enthusiasm for the fans, and the fans are also invited to a placard event that says "지금이 우리에겐 더 퍼스트 씬" I impressed YURI. On the other hand, YURI is a university student who wanders around for a dream at ‘L'ÉTUDIANTE ET M. HENRI’. After his debut, YURI has been challenging the theater stage, getting a good response from the characters with high sync rate and stable acting ability. The works will be available until May 12th. EXO CHEN, first solo album 'April, and a flower' topped various Korean weekly album charts! Prove power! EXO CHEN’s first solo album ‘April, and a flower’ topped various Korean weekly album charts. 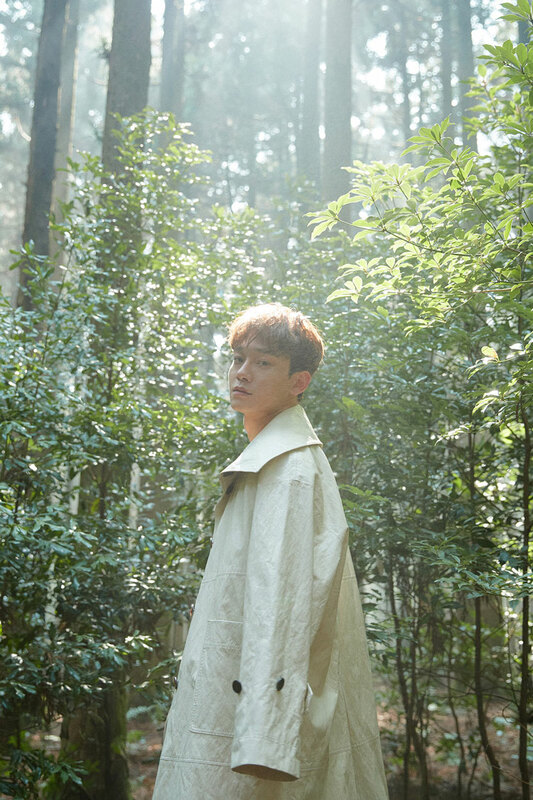 CHEN's first mini album, "April, and a flower", released on April 1, was the weekly number one on major record charts such as Synnara Record, HOTTRACKS, and confirmed the power of solo singer CHEN again. In addition, this album contains 6 songs of various attractive ballads including title song 'Beautiful goodbye'. As soon as it is released, it has won the top of domestic and overseas music charts, China QQ Music, KUGOU Music, and KUWO Music digital album sales chart. In addition, CHEN introduced the stage for the beautiful spring goodbye, which lasted for a long time in the music program of last year, and inspired emotions. It was a high quality live performance with excellent singing ability and sweet vocals. On the other hand, CHEN appears on MBC entertainment program 'Radio Star' which is broadcasted at 11:10 pm on April 10th. SUPER JUNIOR-D&E, team formation secret story unveiled! Every Friday at 7 pm, the documentary about the comeback process is released! April 8th at 12:00 pm, the first teaser video of the new song "Danger" is also open! SUPER JUNIOR-D&E's documentary about the comeback preparation process is open to the public. SUPER JUNIOR-D&E launched 'THE ORIGINAL D&E DOCUMENTARY' on the SMTOWN YouTube channel on June 6, and the contents of the new album 'DANGER' jacket shooting to the choreography practice room are uploaded every Friday at 7 pm . In this video, which is a unique documentary-style commentary, DONGHAE said, "When I performed the SUPER JUNIOR concert, the members performed their individual performances, and I was lonely alone. Previously, if EUNHYUK was a little bit on my personal stage, I made a team in earnest starting from "Oppa, Oppa", and told me about the birth of SUPER JUNIOR-D&E. In addition, on April 8 at 12:00 pm, the first teaser video of the song 'Danger' music video will be released via YouTube SMTOWN channel and NAVER TV SMTOWN channel. On the other hand, SUPER JUNIOR-D&E's third mini album 'DANGER' will be unveiled at 6 pm on the 14th. MBC '특별근로감독관 조장풍' Lee Na Yoon, Cute Scenario Certification Shot! 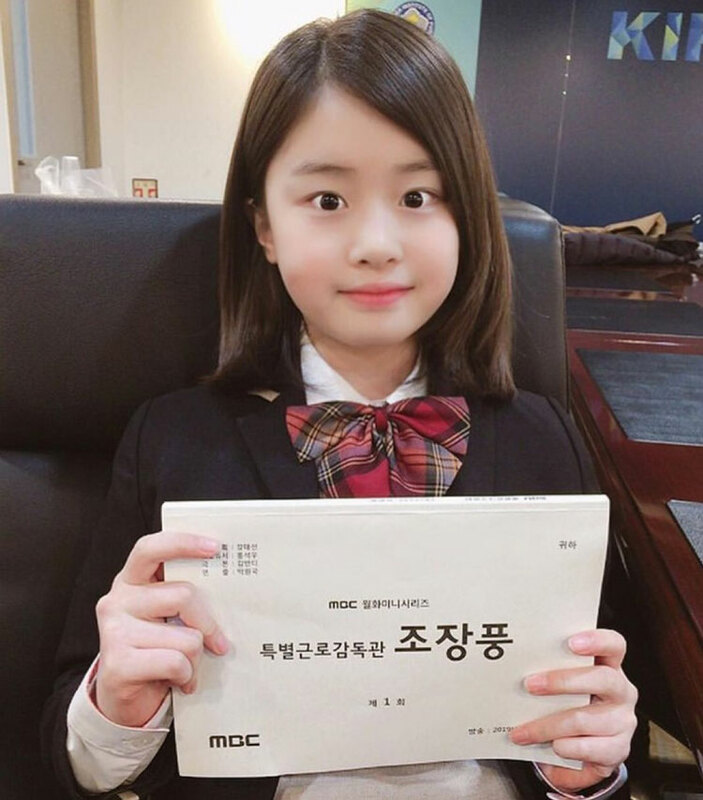 Lee Na Yoon, a child actor, has released a screen shot of the script. In the photo, Lee Na Yoon has a clean, well-rounded hair and a script of '특별근로감독관 조장풍'. It captures those who see with only one photograph wearing a uniform uniformly at a glance. Lee Na Yoon has shown a deep acting ability through various works such as ‘손 꼭 잡고, 지는 석양을 바라보자’, ‘듀얼’, ‘가화만사성’, ‘내 딸, 금사월’. Especially, in this work, actor Kim Dong Wook who is believing and act is going to show performance, and expectation is getting more and more. Lee Na Yoon's "특별근로감독관 조장풍" was a guilty force teacher who could not stand injustice in the past, but now a 6th year official, Cho Jin-gap It is a satirical comedy drama depicting the story of going out to the villain 's employer after being appointed as a supervisor. On the other hand, MBC '특별근로감독관 조장풍' will be broadcasted at 10:00 pm on the 8th. Hong Ji Yoon, JTBC '나의 나라' Casting! - Hong Ji Yoon, JTBC action drama '나의 나라' appeared! New actor Hong Ji Yoon was cast in JTBC '나의 나라'. JTBC drama "나의 나라" is an action drama that explodes the desire for power and patience by pointing a sword at each other with respect to 나의 나라, which is the belief of each person. Hong Ji Yoon took the role of parasitic Hwawol. Hee Jae (Kim Sul-hyun), who has a beautiful appearance, a charming character with a smile on his poor life, who knows the pain behind his laugh, and a friend who relies on each other. Hong Ji Yoon took the role of Oh Ji-ran in the drama "김비서가 왜 그럴까" In this "나의 나라", I will take on a person who holds key information and will show a greater presence. He hopes that he will be able to show his performance. Kim Sul-hyun, who also plays the role of Han Hee Jae, also wonders which chemistry to disseminate. Hong Ji Yoon starred in the role of Ryu Se Hyun, an artist student with a cool charm in Netflix original series '첫사랑은 처음이라서', and starring as a selfish top star Ruby in SBS '절대그이'. 나의 나라 is the third work of the year. Hong Ji Yoon, who is expected to be actively active in the second half of the year following '절대그이' and '나의 나라', starting with "첫사랑은 처음이라서" to be released to the world through Netflix on April 18th. We look forward to seeing growth in 2019 as the most promising. On the other hand, JTBC drama '나의 나라' starring Hong Ji Yoon starring Yang Se Jong, Woo Do Hwan, Kim Sul-hyun, Jang Hyuk and Kim Young Chul. Hwang In Yeop is once again attracting attention as a web drama 'Freshman'. Hwang In Yeop is a web drama Love Playlist 'WHY: 당신이 연인에게 차인 진짜 이유' Ki Jae Young, with his unique visual and charming role, captivated viewers. 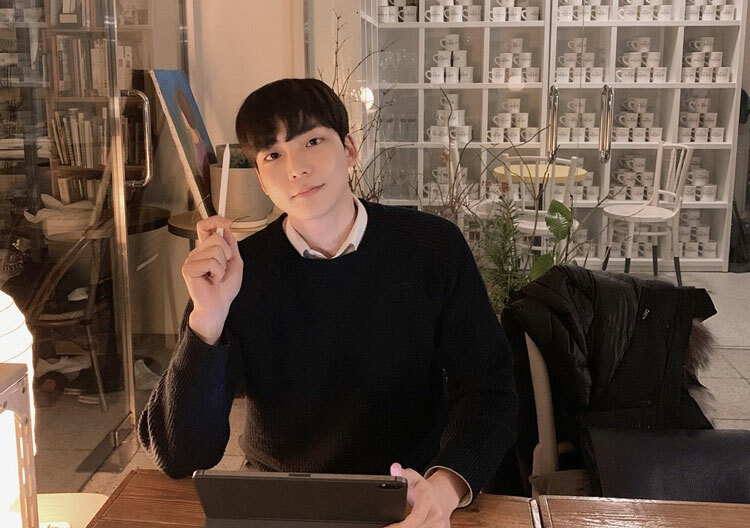 Hwang In Yeop is receiving a love call from various media such as works, magazines, advertisements, etc., because he has a height of 185cm, a sophisticated appearance, and a unique fashion sense. 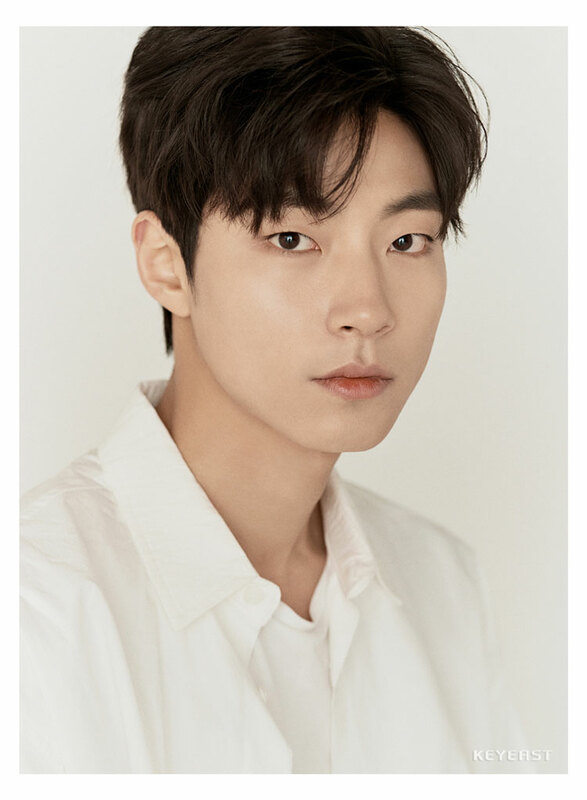 He is also appearing as a Seo Kyo Won in the web drama 'Freshman' which is currently being broadcast on V LIVE '콬 TV', YouTube and Facebook. Seo Kyo Won, played by Hwang In Yeop, is the best in-school interviewer who is envied by all the students. It is a person who has a unique personality in addition to a fashion sense leading fashion, but also sublimates it even in a fashion. Hwang In Yeop is adding a convincing insider character to the trendy style as a former fashion model. Especially, if you showed a pure-noodle that gave up the unrequited love for all happiness in the former work 'WHY', 'Freshman' turns into a popular star and shows a wide acting ability by expressing unique expressions, actions and buzzwords. The charm of Hwang In Yeop, which expresses any character with his own color, is considered one of the reasons why he wants to meet one day soon. Meanwhile, Hwang In Yeop's web drama 'Freshman' will be screened five times on V LIVE and NAVER TV at 1 pm on the 6th. The spectacular line-up of the 'ㅋㅋ페스티벌' held in May was unveiled. On May 25th, 'ㅋㅋ페스티벌' will be with Yoon Jong Shin, MAMAMOO, Zion.T, Norazo, JUNGIN & Cho Jung Chi, SORAN and Sultan Of The Disco. It is showing a hot response online online with a wealth of lineups that can not be found anywhere. 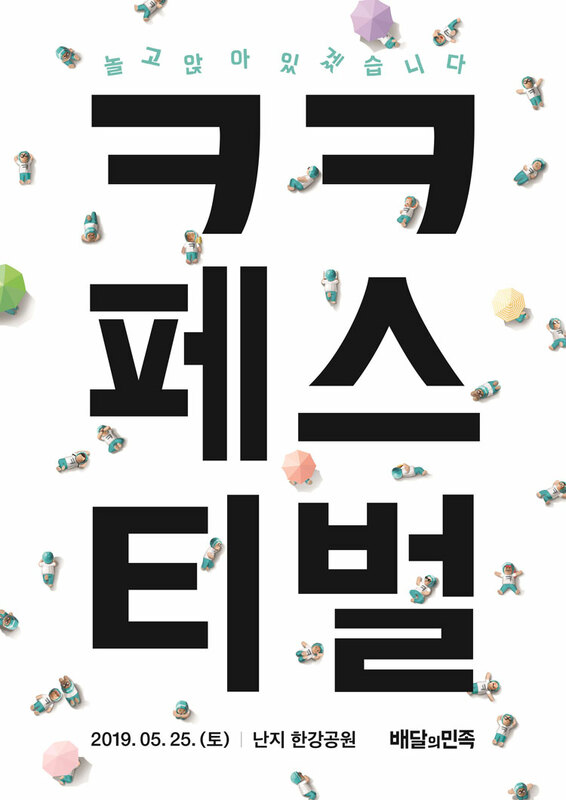 'ㅋㅋ페스티벌' is a new type of festival focusing on eating and playing. It is jointly planned and produced by MYSTIC STORY, a comprehensive entertainment contents company, and '배달의민족', the first delivery service in Korea. It will be composed of performances of the best food and colorful musicians based on the B class code, parody and kitsch emotional characteristic unique to the '배달의민족'. The official ticket for the festival will be available at the Interpark ticket starting at 2 pm on the 9th, and VIP class customers of '배달의민족' will receive a 50% discount on the ticket through the banner of '배달의민족' You can purchase. 1,000 first-come-first-served items, and can be purchased for up to 2 persons per person. The discount price is 22,000 won. As soon as the blind ticket of 'ㅋㅋ페스티벌' was opened, it sold out in one minute and it became very popular. Red Velvet hit song 'Bad Boy' 200 million music video views of its hit song 'Bad Boy' on YouTube! Global popularity proven! Red Velvet proved its global popularity recording over 200 million music video views of its hit song 'Bad Boy' on YouTube. The "Bad Boy" music video, which was released on YouTube SMTOWN channel in January last year, surpassed the YouTube view of 100 million views in May of the same year, followed by the 200 million view on April 6, did. In addition, Red Velvet has five 100 million view music videos including 'Russian Roulette', 'Dumb Dumb', 'Peek-A-Boo', 'Red Flavor' and 'Ice Cream Cake'. 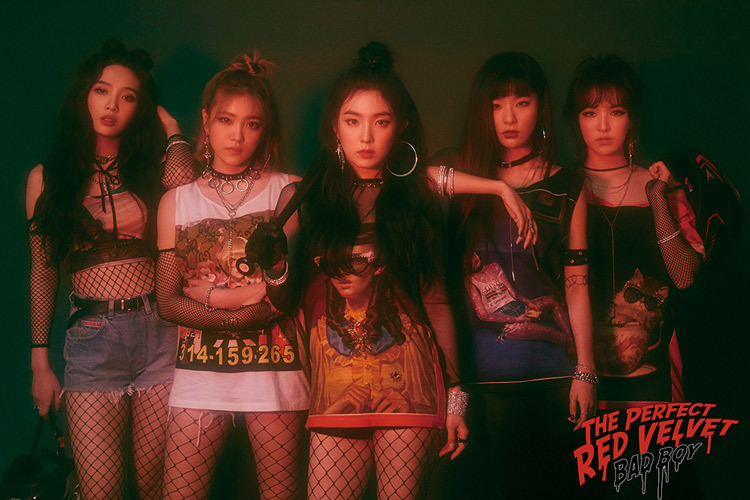 In particular, 'Bad Boy' is the title song of Red Velvet's 2nd Repackage album 'The Perfect Red Velvet' released in January last year. It includes various sound recordings, music charts, "The 20 Best K-pop Songs of 2018: Critics' Picks" published by Billboard of the United States of America, which has topped the domestic charts, including 1st in the region, 1st in China Xiami Music Composite Chart, 1st in KKBOX Korea Music Chart in Taiwan, Hong Kong, in the first place, such as the Red Velvet has proven the limited power. On the other hand, Red Velvet released a remix version of 'Close To Me', which was collaborated with famous DJ Ellie Goulding and the US top DJ Diplo on May 5. EXO CHEN, 'Beautiful goodbye' debut solo debut topic! Emotional Stimulation + Live! "Extra Balader"
The solo debut stage of EXO CHEN (SM) was broadcasted first. CHEN has fascinated musical fans with KBS2TV 'Music Bank', which was broadcasted on the 5th of May, and proved to be a 'high-end ballader' with its excellent singing ability and soft voice. .
'Beautiful goodbye', which is loved by many people, is a ballad song that stimulates emotions, so it was able to meet the sweet vocals of CHEN mixed with the ambience of the song in the stage. CHEN also announced its first mini-album 'April, and a flower' on April 1st, and became the first soloist in the domestic and international music charts. This album is the first in the major music charts, It ranked # 1 in 33 locations in the world, followed by KUGOU Music, including QQ Music, China's largest music site, and # 1 on KUWO Music digital album sales charts. On the other hand, CHEN will show 'Beautiful goodbye' stage on MBC 'Show Music Core' on April 6 and SBS 'Inkigayo' on 7th. Jung Jay, a new program on Lifetiem's ​​channel, "탐나는 그녀들의 사생활" is a hot topic. '탐나는 그녀들의 사생활' is an observing artifact that captures the day-to-day life of famous influenza writers with millions of followers. Jung Jay, the hoonnam model Ko Min Sung and the broadcaster Joo Ah Min will appear to reveal their privacy. Jung Jay reveals his daily life in "탐나는 그녀들의 사생활" to be broadcast on the 6th. 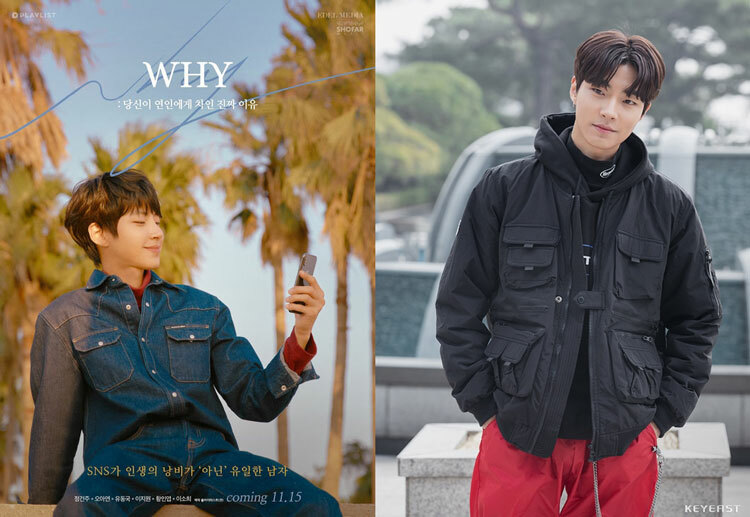 Jung Jay's unique and exciting daily life will be intensified as everyone wonders about his role as CEO and broadcaster of IT company, and as a young man Jung Jay who spends his personal time with his friends. '탐나는 그녀들의 사생활' is broadcast on the Lifetiem channel every Saturday night at 10:50 pm.